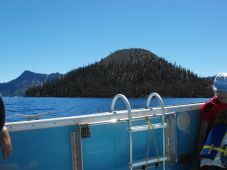 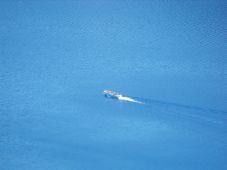 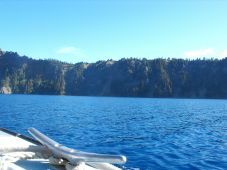 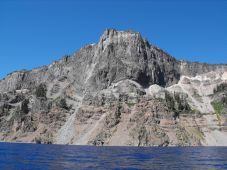 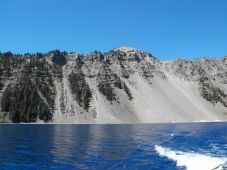 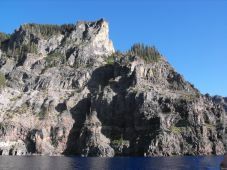 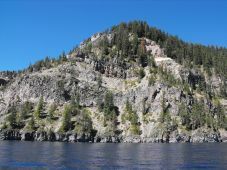 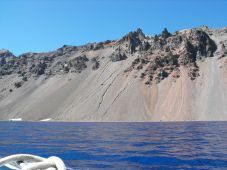 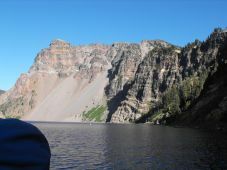 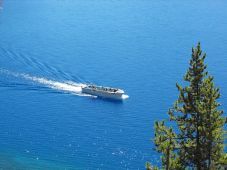 These Crater Lake National Park boat tour photos demonstrate the beauty of Crater Lake from the view of the lake. 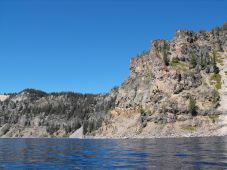 The tour starts at Cleetwood Cove (a 1.1 mile walk from the parking lot) and takes approximately 3 hours. 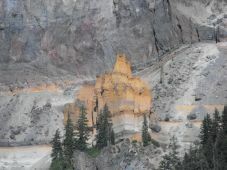 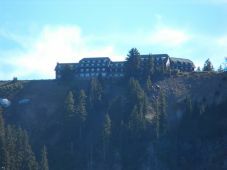 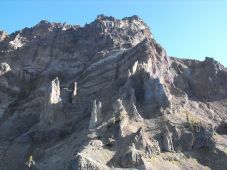 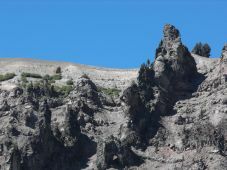 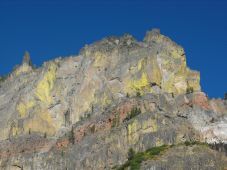 The tour is led by one of the park rangers who details the history of the park through the geology of the crater walls. 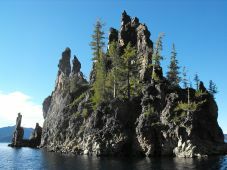 Seven tours depart daily with two of the tours stopping at Wizard Island. 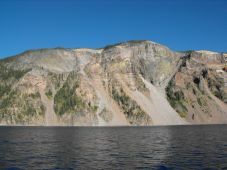 Highlights of the tour include closeup views of Wizard Island and Phantom Ship. 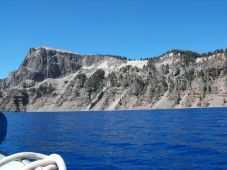 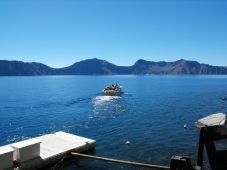 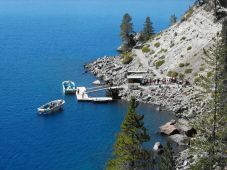 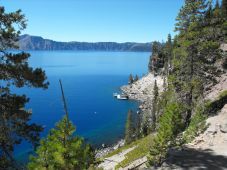 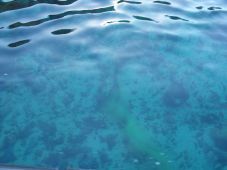 Be sure to bring your swimsuit for a once in a lifetime experience - swimming in Crater Lake! 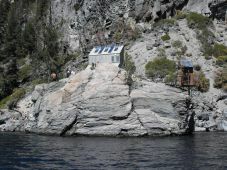 Restrooms are available to change your clothes. 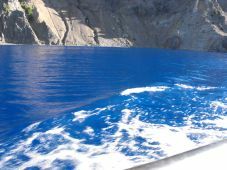 The water is cold but refreshing on a hot day. 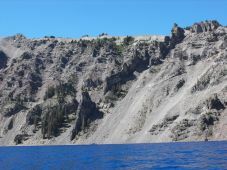 Return to Klamath Photos Page from Crater Lake Boat Tour Photos Page.